Squirrels are known for entering houses through attics and other entry points and making themselves at home. These pests build nests inside walls or in attics, where they usually end up having a couple of litters each year. Squirrels can cause significant damage to homes when they dig through walls and other structures. They can also cause a fire hazard by chewing on wires. Removing them is crucial, but it’s important for you to know how to do so safely. There are several kinds of traps you can set up in order to trap squirrels as they leave your home in search of food. However, you shouldn’t attempt this if you’re not sure what to do with them once they’re caught. Since squirrels can carry disease, it’s essential to make sure you don’t get bitten or scratched while dealing with them. You also have to consider how they got in, so you can block these areas off or seal them up. Otherwise, squirrels will be able to find their way into your home again. A professional pest control company can ensure that squirrels are removed in a safe manner and prevented from coming back. 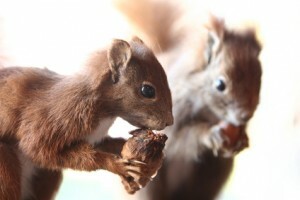 If you have squirrels living in your home, it’s time to hire an expert NJ pest control service. Contact Allison Pest Control, and we’ll safely remove these critters from your home before they can cause damage. If you haven’t seen a black squirrel in your neck of the woods, keep your eyes peeled. They are the melanistic or “black” version of the common gray squirrel, and they are some of the prettiest, funniest acting and unique looking squirrels around. 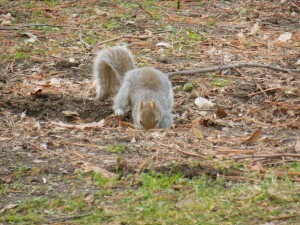 These squirrels are fairly common to the northeastern U.S., and as such, they will be found around your neighborhood. Like all squirrels, they like nuts of all kinds, and if you have an oak tree nearby, the chances are that you’ll also have black squirrels too. One of the main reasons they populate our neck of the woods is because black squirrels don’t lose as much heat as gray squirrels do. Consequently, in southern climates, they would generally overheat due to their heat capturing black fur. They tolerate cold better than they do heat, which makes the northeastern part of the country so appealing. 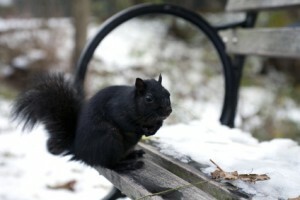 Regardless of how cute or pretty or unique black squirrels are, they still have the same habits as their gray cousins. That means they can, and will, invade your garage, attic or other outbuildings if they have the chance. If black squirrels, or any squirrels become a problem in or around your house or home, please contact us at Allison Pest Control. We are the professionals at squirrel control. Serving Monmouth and Ocean County for nearly 100 years. Tell Me: What Squirrels Live in New Jersey? The adults range in size from about 5 to 6 inches, not including their tail. They prefer living in the forest, but can be a problem for home owners in rural areas. They have exceptional night vision and a unique membrane between their front and back legs. This natural wing suit allows them to glide easily from tree to tree or to roof tops. Adults reach body lengths from 9 to 12 inches; their tails add an additional 7 to 10 inches. According to New Jersey’s National Wildlife Control Operators Association, these squirrels can live up to 12 years in the wild. They reach sexual maturity at 5 and a half months and breed twice each year. Once in the summer and again in winter. That is when they really want in your attic. These cute, clever and persistent creatures spread disease, destroy insulation, chew wood in attics, and cause numerous house fires each year. For humane removal and to prevent them from coming back, call the experts at Allison Pest Control. What kind of rodent poop is littering your attic? It pays to know for effective pest eradication – and for preventing the transmission of diseases via that funky feces. 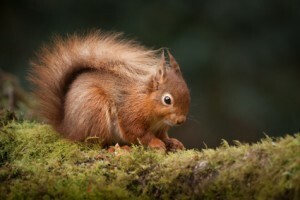 The most common attic offenders are the red and gray squirrel. Squirrel dung typically looks like a smattering of wild rice, as they begin dark brown and pale over time, producing a variety of shades. About 3/8 inch long and 1/8 inch in diameter, gray squirrel stools are a bit larger and longer than red squirrel stools. Flying squirrel droppings are also similar in size. Squirrel droppings have soft, circular sides, while rat droppings are pointy on sides and thicker in the middle. Squirrels typically deposit waste clusters in certain spots, while rat and mouse droppings will be strewn everywhere. Some of the worst issues you can have with squirrels involve their feces. Like food poisoning, presents as sickness and diarrhea in mild cases, but can result in life-threatening conditions in children and elderly. Typically treated with oral or IV hydration, hand washing for prevention is key. In most cases, mild flu-like symptoms with headache, body aches, and chills, though it can progress to organ failure and internal bleeding in serious cases. Can be treated with antibiotics. Tired of manhandling manure in your home? Call Allison Pest Control today. Squirrels are rodents of the genus Sciurus and large family Sciuridae, which includes chipmunks, marmots, and prairie dogs. There are 1,650 species of squirrel, which typically possess a large bushy tail, long erect ears, muscular hind legs, and sharp claws. 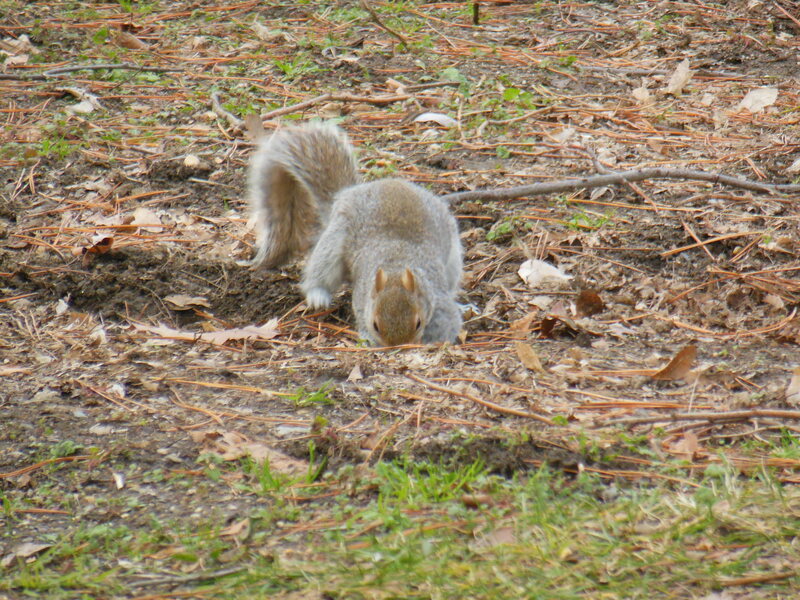 Squirrels are primarily tree dwelling, however some species live in burrows. Squirrels can damage trees and nest in attics and chimneys of homes, becoming a pest. Squirrel nests are referred to as “dreys.” Squirrels bear two litters per year of about three young, one between February-April and one between August-September. 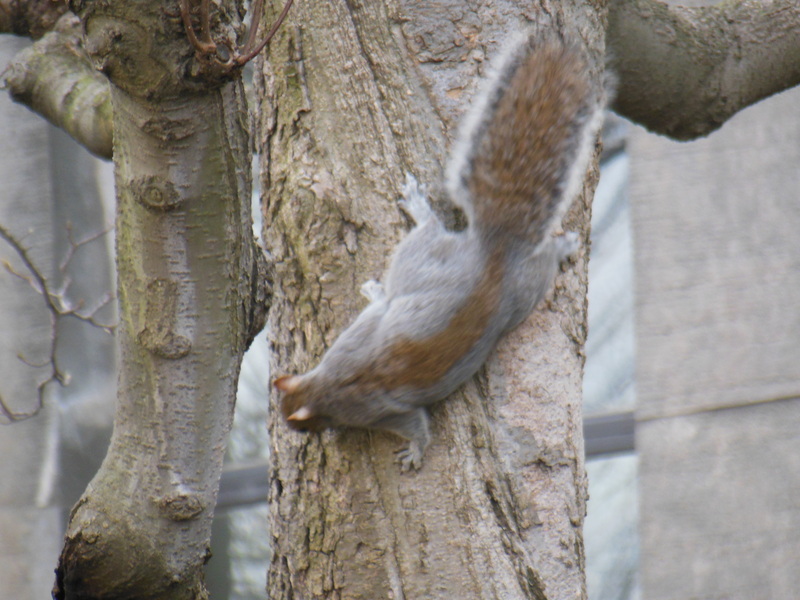 Squirrels are capable of moving across and swinging between narrow branches, up and down inclines, crossing gaps, and deftly dealing with obstructions. The tail of a squirrel provides the animal with balance, acts as a parachute, and is also used in communication. Squirrels have excellent eyesight and smell, and groom quite often. Squirrel teeth grow continuously. The animals chew to wear down growth – and often enjoy sharpening them on your home’s electrical wires! Scurries scurrying through your home? Contact Allison today, as the squirrel removal experts for Monmouth County, Allison Pest Control will humanely remove your squirrels, sanitize and clean the problem areas, and do minor repairs to keep squirrels from coming back. When your friends and family start to wonder about the squirrel colony you’ve got thriving in your attic, or you’ve started giving each one a name based solely on the unique sound it makes running across your bedroom ceiling at 3 a.m., it may be time to consider calling Allison Pest Control. There are several options available – some of which are more menacing than others – and catch and release traps are typically best when you’re just looking to evict and relocate your furry friends. With our expert knowledge of all things furry, creepy, or crawly, we’ve found that some of the best bait buffets for squirrels include: nuts, seeds, corn, peanut butter, and molasses. While a squirrel city may sound harmless, these fluffy-tailed rodents can do some serious damage to your home, property, and attic as they carve out their way in the world. Humane trapping means relocation to a bigger and better outdoor space, where they can happily continue their squirrel-lives. When you are tired of hearing squirrel sounds coming from your attic, it is time to call Allison Pest Control and get the experts out to solve your squirrel problems.